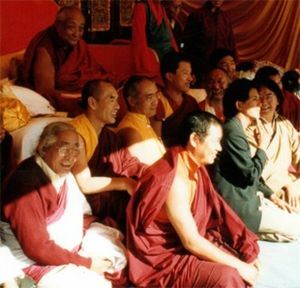 Rigpa aims to present the Buddhist tradition of Tibet in a way that is both completely authentic, and as relevant as possible to the lives and needs of modern men and women. At the same time, Rigpa seeks to explore how the wisdom and compassion of the Buddha's teachings can benefit many different areas of life in today's world. "Rigpa is a Tibetan word, which in general means 'intelligence' or 'awareness'. 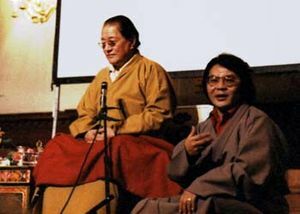 In Dzogchen, however, the highest teachings in the Buddhist tradition of Tibet, rigpa has a deeper connotation, 'the innermost nature of the mind'. The whole of the teaching of Buddha is directed towards realizing this, our ultimate nature, the state of omniscience or enlightenment – a truth so universal, so primordial that it goes beyond all limits, and beyond even religion itself." 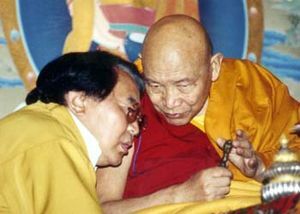 Inspired by the meaning of the word rigpa, Sogyal Rinpoche gave this as the name for his work and to the vehicle he was developing to serve the Buddha's teaching in the West. Today, Rigpa has more than 130 centres in 41 countries around the world.